Can you believe that Thanksgiving is a week away?! I love this time of year with, ripe with tradition and meaning. As we've lived overseas, away from our home culture and away from our loved ones back "home," I've come to value and long for tradition so much more than I ever have before. Here where my host culture doesn't celebrate Thanksgiving, and where Christmas is a small and hardly recognized holiday in January, the world around is not joining with us in these meaningful festivities. This makes me feel deep sense of necessity to create an atmosphere of remembrance and celebration for my family so we can enjoy the richness of these holidays. It can be a challenge though, with the busyness of mothering, schooling, ministry, the unexpected and inevitable interruptions, flu season, and all other aspects of life, to have all of the holiday atmosphere basically depend upon what I manage to create. We've had some smaller holidays go by totally unnoticed, for one reason or another, because we didn't have the capacity to spend time creating the atmosphere of celebration. I think this reality of having the joyous responsibility of leading my family into seasons of meaningful celebration has led me personally to want to establish meaningful but simple traditions that we can maintain year after year, even during years like last year where our whole family was laid flat with a horrible virus, or at other times when we've felt stretched by various circumstances or obligations. Having simple traditions helps us to still enjoy meaningful celebration even if we find ourselves having little capacity, which I have found is often so much more of the time than I would wish during the holidays! 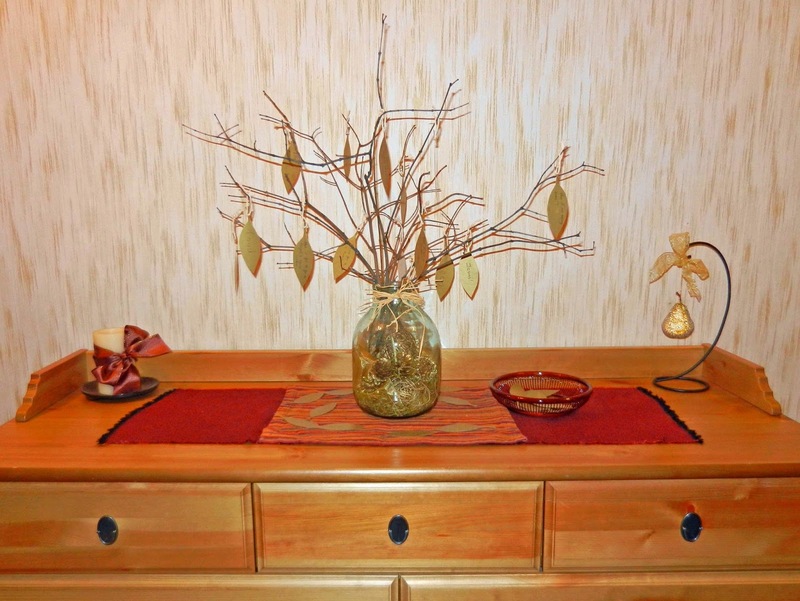 Thanksgiving Tree- I'm sure you've all seen this idea and many of you probably do it. I love it! It's so simple and such a great reminder each day to be mindful of the blessings that God has given us. It is also such a great conversation piece when guests come over, to be able to share about to whom we give thanks for all of these blessings in our lives. Turkey Bowl football- We get together with a bunch of other Americans at a field down the road to have a Turkey Bowl football tournament almost every Thanksgiving. It's a truly fun and fully American part of our celebration. Christmas decorating- In my family growing up, we always decorated for Christmas on the day after Thanksgiving and made it into a very special day. We'd play the first Christmas music of the year, make cocoa, and have fun as a family changing the atmosphere of our home into one of anticipation of Christmas. We've adopted much of that idea and always look forward to that special decorating day. Christmas Eve chili and caroling with friends- We were brought into this wonderful tradition by our dear friends who were our teammates and basically our family for our first 7 years in Russia. They had the tradition, from the husband's childhood, of gathering with friends and family, eating chili and cornbread, and singing carols every Christmas Eve. Chili and cornbread are easy to make, so the focus can be on fellowship rather than having to make a huge and elaborate feast. It is always such a fun and worshipful time! 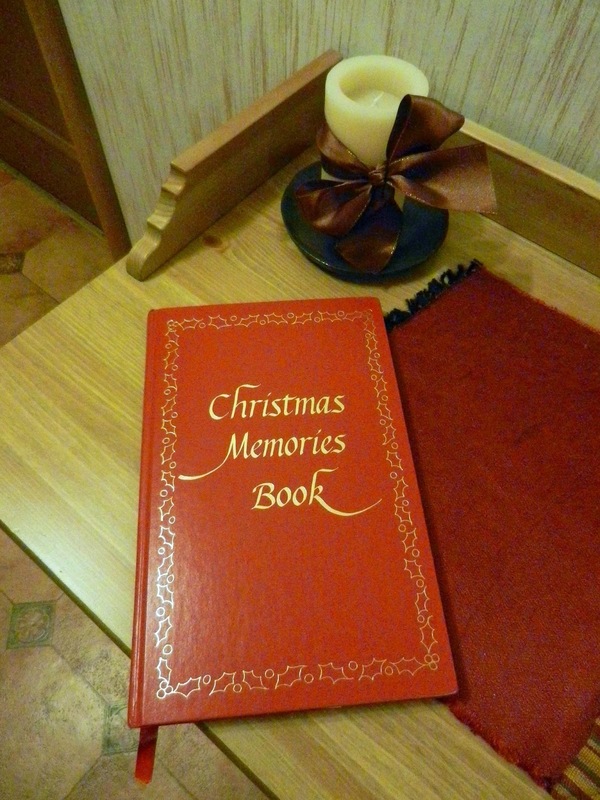 Christmas Memories Book- We were given this book below as a wedding gift and I absolutely treasure it. It is such a special way to remember the Christmases past and to see how our family has changed over the years. You can order this book on Amazon or could create something on your own. It has spaces to record favorite your Christmas memories, special guests, favorite gifts, and the Christmas dinner menu, and also has places to put in family pictures and a favorite Christmas card for each year. Jesus' Birthday Party- Each Christmas evening, we throw a little birthday party for Jesus, complete with a birthday cake (usually just a cake we buy at the store). It is always a fun way to remind our kids yet again who we are celebrating on Christmas! Also, I recommend this every year, but my favorite book about traditions is called "Treasuring God in our Traditions" by Noel Piper. If you haven't read it, I highly recommend it! It is wonderful! Would you take a moment to share some of your family's favorite traditions? How do you make the holiday season special where you are? We've started a new tradition here of having a very traditional thanksgiving dinner with our Tico friends. Since they don't celebrate Thanksgiving, we know they will have time to spend with us. 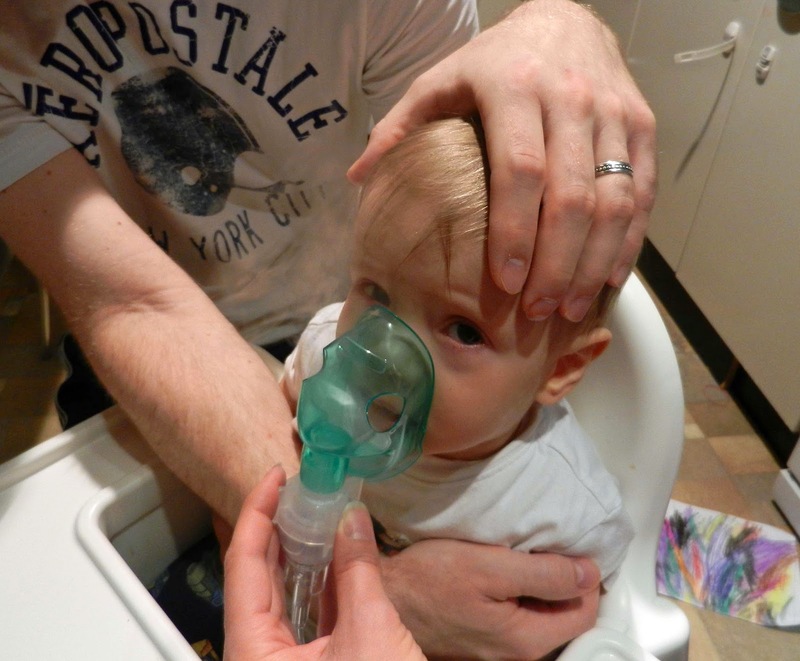 Christmas is taken over by families here, which is hard because we don't have extended family. We tend to get together with other missionaries for Christmas. We also have been able to keep cutting down live Christmas trees here, although they are cypress instead of pine. We have a orange tree in our yard that is ready for picking right around the holidays so the last few years we've made orange marmalade to give as gifts and chocolate covered candied orange peels! When I made the marmalade this year, my big boys both said "OH!! It smells like Christmas!" So fun! What fun traditions, Liz! We also associate oranges (or rather the little mandarins) with Christmas here, but they are definitely imported. =) How neat to have oranges growing in your yard!! And how special special that you get to share your Thanksgiving feast with your Tico friends! 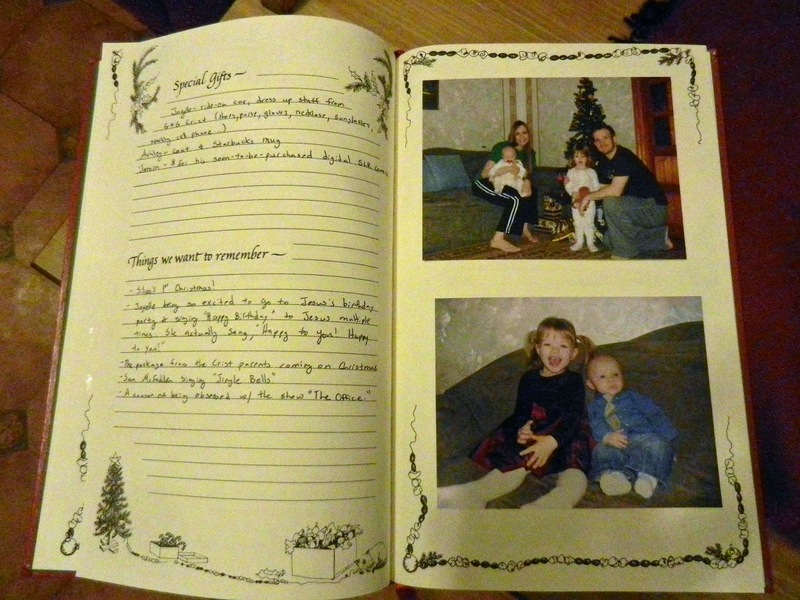 We have the same Christmas Memories book! And, I love that book by Noel Piper. We celebrate Advent with daily readings and we try to do daily Advent activities (although the activities don't always happen every day!). Another Christmas tradition we have is that at the beginning of December, I put out a basket of all of our kids' Christmas books, each one wrapped like a present. Throughout the month, the kids can choose one to unwrap and read together. A Christmas tradition we've adopted here is having tamales (THE Christmas food here) for one of our Christmas meals. It's so fun to read about others' traditions!